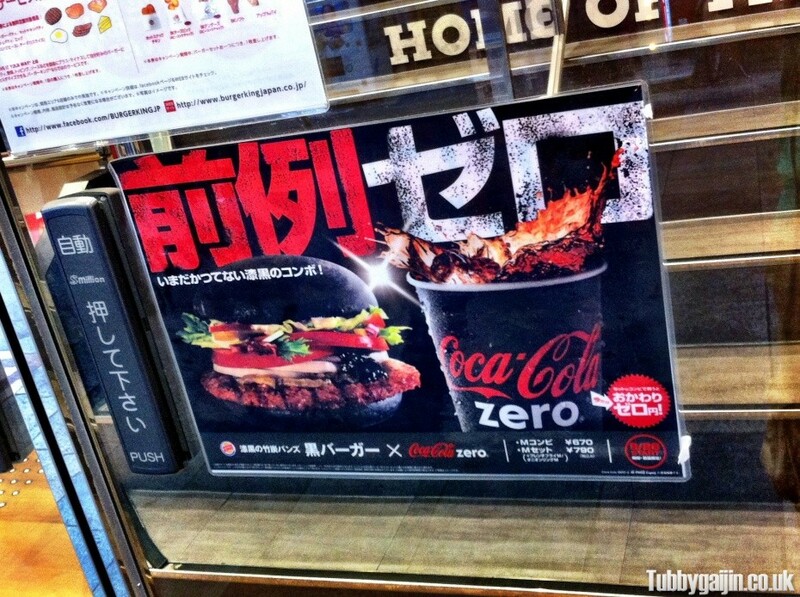 To celebrate Burger King Japan’s fifth anniversary, the company released this strange offering in September. Today I decided it was about time I gave it a go. 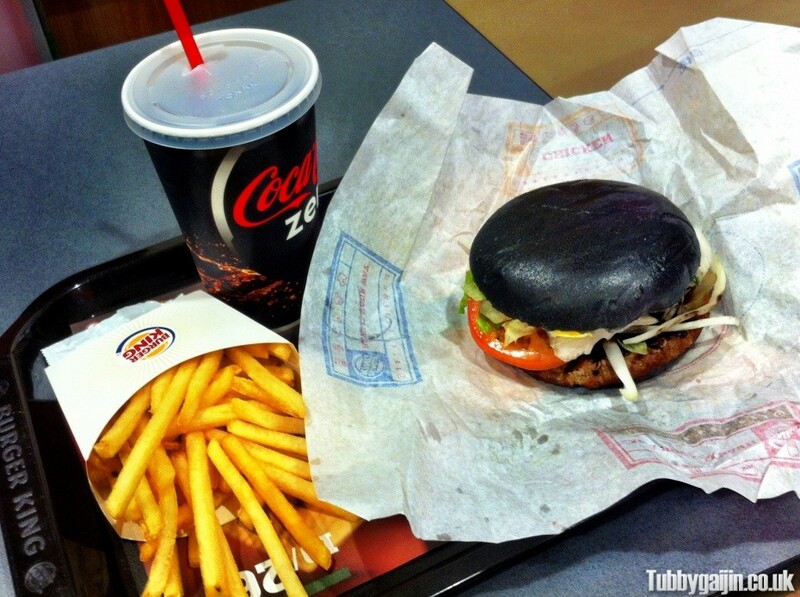 The Premium Kuro Burger(Black Burger)feature’s a bun that’s been dyed using bamboo charcoal, and ketchup coloured with squid ink. Despite this it actually tastes pretty normal. the medium set with fries and drink will cost you 790 yen. So what’s in the Premium Kuro? 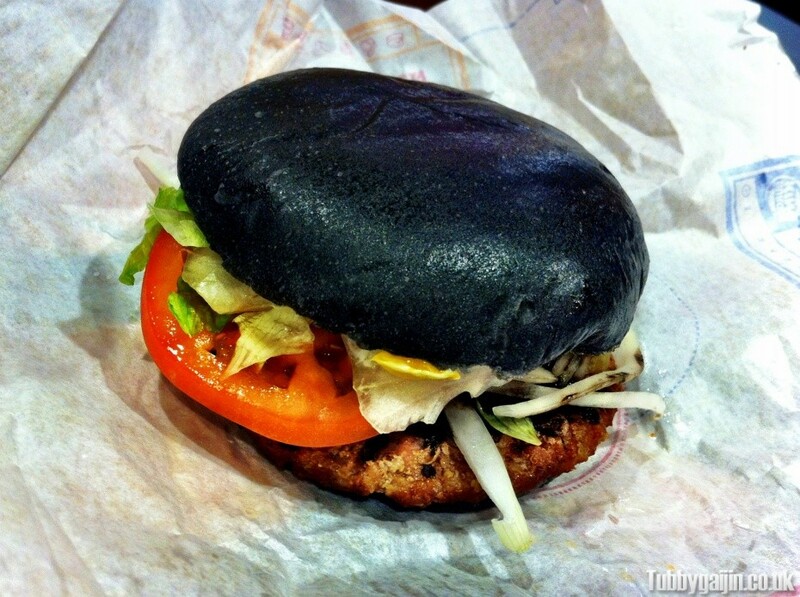 The burger itself wasn’t that great, very thin and insubstantial but it tasted ok. And the squid ink taste was subtly different, but interesting all the same. I think I’ve been spoiled by all the independent burger joints I’ve visited! A couple of days ago, Burger King launched a Halloween special burger which contains slices of Kabocha(Japanese pumpkin) so I’ll be heading back to give that a try soon.